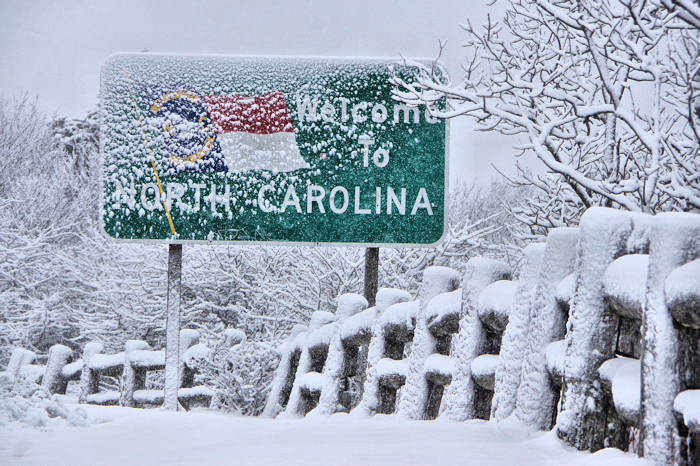 Since the Blue Ridge Parkway crosses many mile-high ridges in North Carolina and extends through remote areas, sections close temporarily due to weather or repairs. Sections close for long periods each winter due to snow and ice. Since they do not plow or treat the road with chemicals, those sections reopen after a natural melting. Winter 2018-19: Many sections of the Parkway will close throughout the winter, changing daily. See a real-time closure map from the National Park Service that shows which sections of the Blue Ridge Parkway are temporary closed. See our Blue Ridge Parkway mile-by-mile guide with things to do listed by milepost. 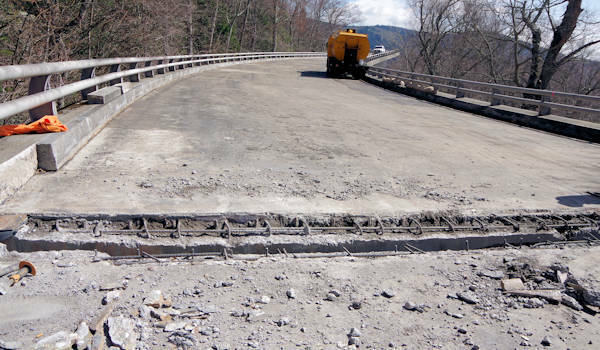 The Linn Cove Viaduct reopened June 4, 2018 after major repairs. For emergencies on the Blue Ridge Parkway, call 1-800-PARKWATCH. Go slowly and enjoy the scenery. The speed limit is 45 mph. Although there are no stop signs or stoplights, this is not a freeway. Stop at the overlooks to soak in the views. If an overlook is busy, take a short walk to find a more secluded spot. Take a jacket. With the elevation changes along the drive, the temperature may vary as much as 20 to 30 degrees. At the highest elevations, the hottest summer days only reach into the 70s. Watch for hikers and bicyclists, especially in tunnels. Be certain to take your camera. Ask someone to take a picture of you along the way. Gas up before you get on the parkway. There are no gas stations on the parkway. Gas stations are also located on intersecting highways near the Parkway exits (see FAQ page). Restrooms are located at major stops such as picnic areas and visitor centers. Please do not disturb wildlife or plant life. Bear sightings are rare. Practice Leave No Trace! If you are into bird watching or wildflowers, be sure to take your guidebooks. Along the Parkway, you will see numbered mileposts. The zero milepost marker is at the north end of the Parkway in Virginia. Numbers progress as you drive south. Dogs and other pets must be on a leash or under physical restraint at all times while along the Parkway and hiking trails. Parking is permitted on road shoulders (unless noted). Be sure to have all four wheels are off the pavement. 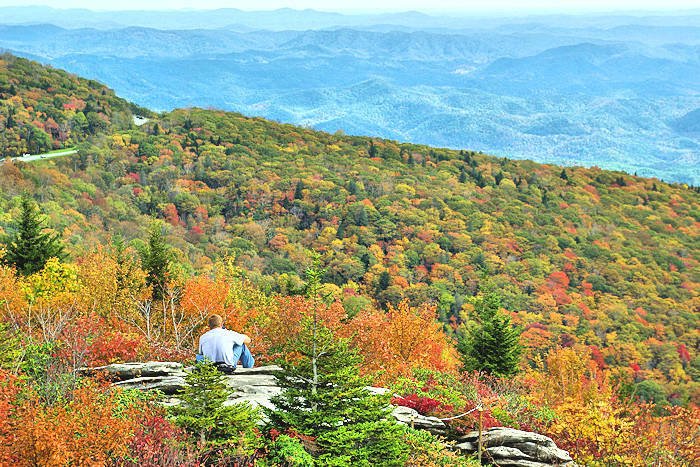 To help plan your journey, begin at the Parkway Visitor Center that is located in Asheville. For emergencies along the Parkway, call 1-800-ParkWatch. 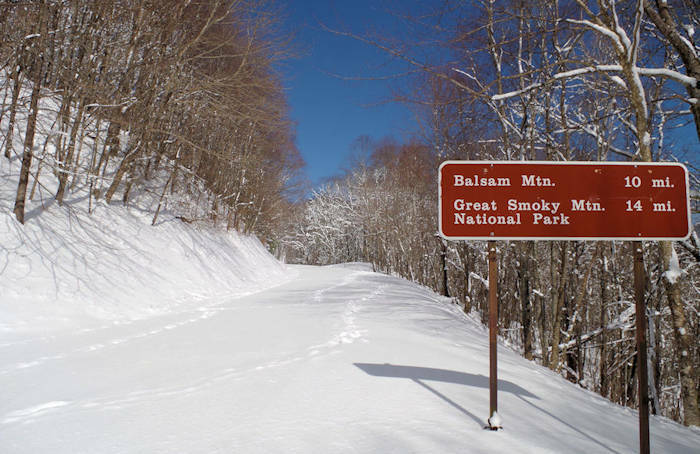 Road closures and conditions, along with weather reports, are available by calling the Parkway information line at (828) 298-0398. Many sections of the Parkway close in winter months because of snow and ice.